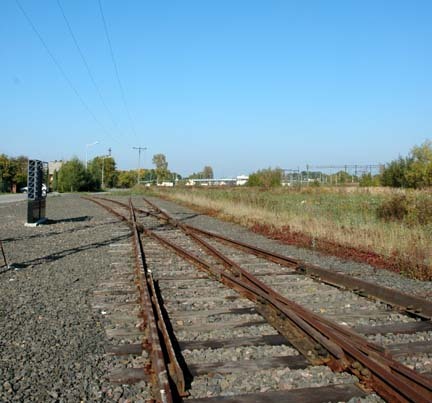 You can read here about a man named Reinhold H. who is the next person in Germany who will be tortured, by being dragged into court, because he was a guard at Auschwitz-Birkenau, seventy years ago. 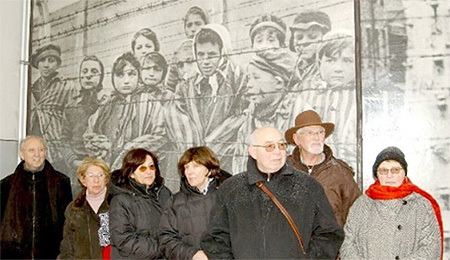 The photo above, which was included with the news article, should not be used in a news article that mentions that prisoners were gassed at Auschwitz-Birkenau. 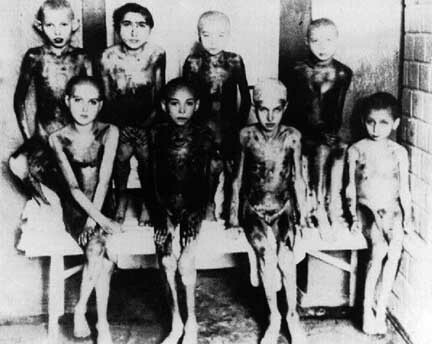 As everyone knows, children under the age of 15 were immediately gassed upon arrival, so how could these children have survived? One of the children in the photo, Eva Kor, is still alive and well and giving lectures. 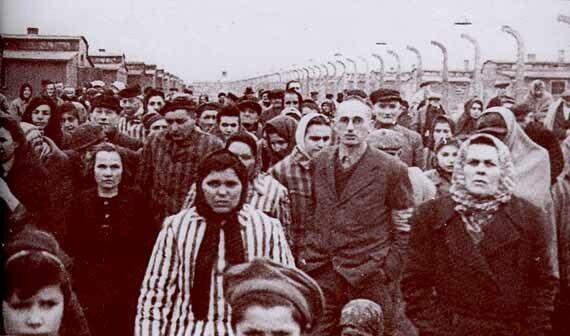 The retiree [Reinhold H.] is accused of serving as a guard at the [Auschwitz-Birkenau] extermination camp in Nazi-occupied Poland from 1942 through 1944. Prosecutors argue he is an accessory to murder for helping the death camp function but he’s not charged with a specific killing. 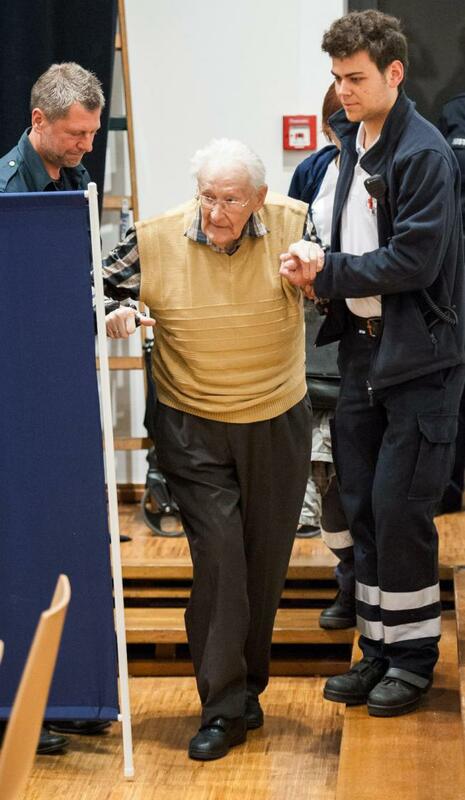 The suspect says he was assigned to a part of the [Auschwitz-Birkenau] camp not involved in the mass murders. 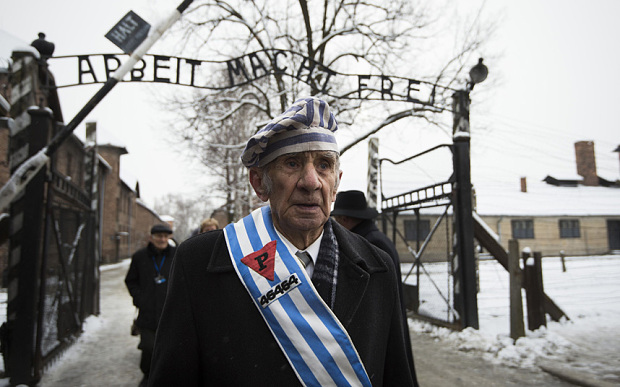 BERLIN — A court in western Germany says it’s waiting on a doctor’s assessment of a 93-year-old former Auschwitz guard to determine if he can stand trial on 170,000 counts of accessory to murder. 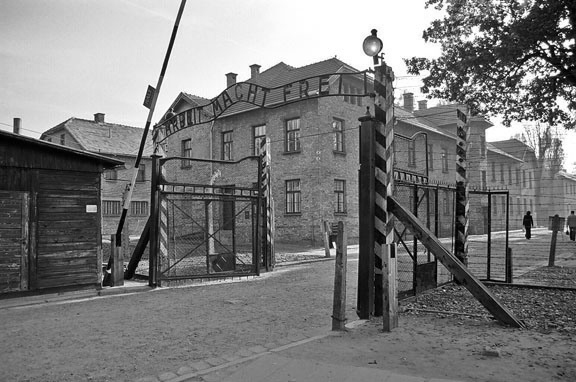 This is not the first time this year a nonagenarian has stood trial for his alleged activities at the Nazi death camp during the Holocaust. In July, 94-year-old former Nazi SS officer Oskar Groening, known as the “Bookkeeper of Auschwitz,” was given a four-year jail sentence [after he] was convicted by a court in the northern German city of Lueneburg of accessory to murder in 300,000 cases of Hungarian Jews sent to the gas chambers from May to July 1944. 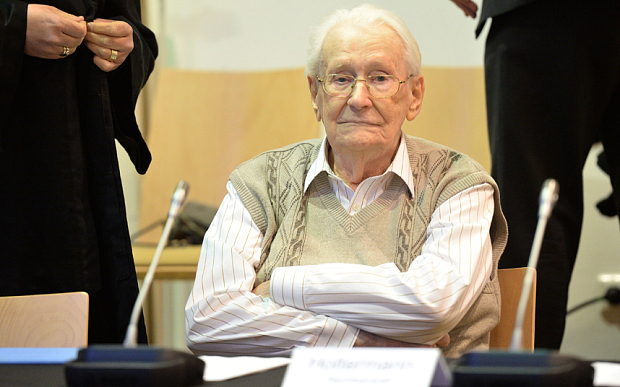 Reinhold H. will be tried for the crime of “accessory to murder.” At the time that he committed this alleged crime, he didn’t know that it was a crime to work at the Auschwitz-Birkenau camp. Germany should be worrying about the consequences of their plan to allow 800,000 Muslims from Syria into their country. Is this the face of a depraved killer? Former German soldier Oskar Groening is back in court today, after a short stay in a hospital, which interrupted his trial. In the latest news report about his case, which you can read in full here, Groener explained why he has gone over to the other side and now wants to refute Holocaust denial, which is against the law in Germany. 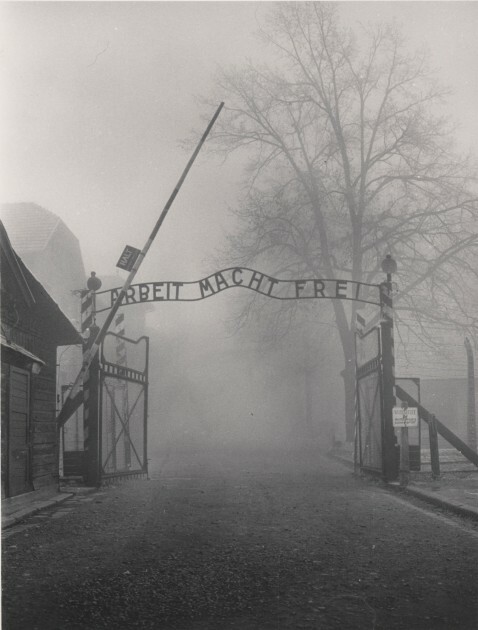 Mr Groening, who after his stint at the death camp was captured by Allied forces and spent time in a prisoner of war camp in Britain, described in a matter of fact tone some of the murders he witnessed at Auschwitz. 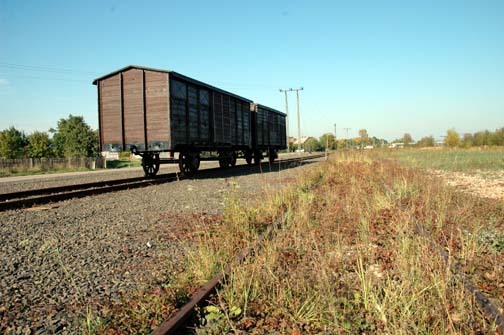 On his first day on the ramp where Jewish prisoners exited the trains, he saw an SS colleague grab a crying baby and slam its head against a truck until it was quiet. He also told of an incident when he saw naked Jews herded into a farm house near the camp. A soldier then locked them in, donned a gas mask, and poured the contents of a can down a hatch. “The screams became louder and more desperate but after a short time they became quieter again,” Mr Groening said. Does anyone besides me see something suspicious about these stories told by Groening in the courtroom? 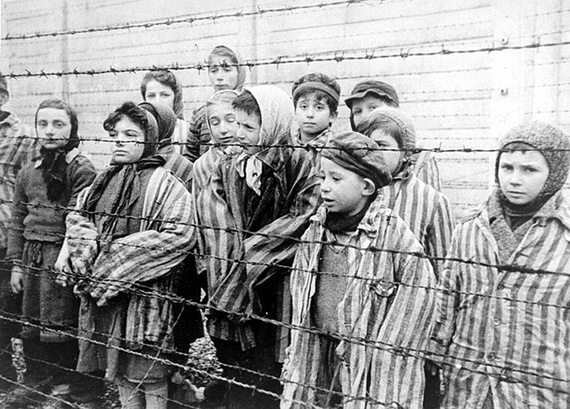 I recognize these stories as claims that have been told many times by former inmates at Auschwitz-Birenau. Slamming the heads of babies against a train or a truck is the Number One atrocity story told by the former prisoners. 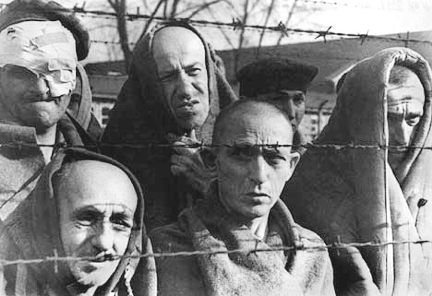 The “screams” of the prisoners as they were being gassed is the second most common story told by survivors. How is it Groening’s fault that 300,000 Hungarian Jews were killed in only 10 weeks time? How was he supposed to stop the gassing of the Hungarian Jews? If Groening is responsible for the gassing of the Hungarian Jews, he is also responsible for saving the Hungarian Jews, who are now in the courtroom testifying against him. 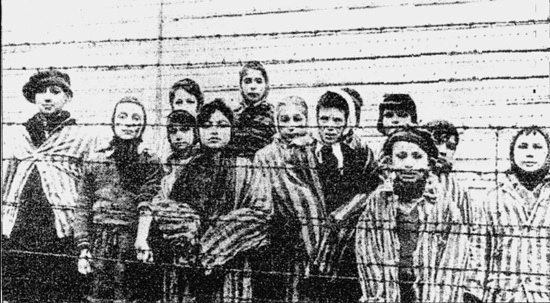 Eva Kor, one of the co-plaintiffs, told The Telegraph she lost her parents and her two older sisters when the entire family was taken by the Nazis from Hungary and sent to Auschwitz. “I can’t bring anybody back,” she said just before the trial began. “But I want information on how the system worked. 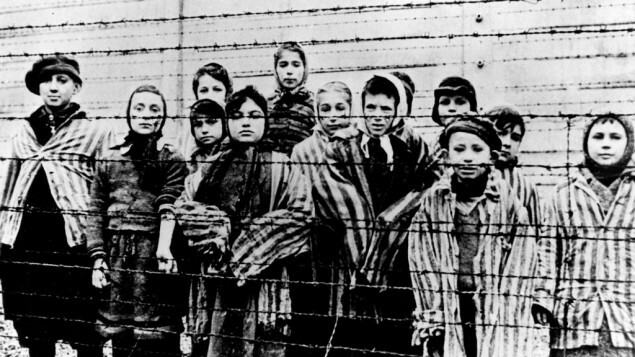 How they decided on selecting who went to the gas chambers, and I want to see files on the medical experiments that were carried out on me and my twin sister by (Josef) Mengele,” said the 81-year-old, who now lives in the US. 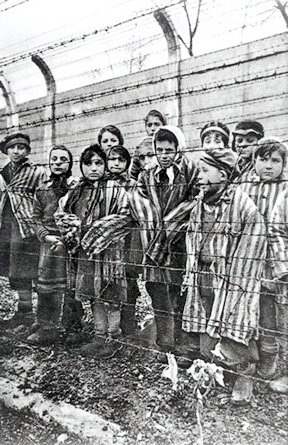 The news article also mentions Susan Pollack [Zsuzsanna Blau from Felsogod, Hungary], who was sent to Auschwitz-Birkenau at the age of 14. Susan lost 50 members of her family, and she was the only member of her family to survive the Holocaust. 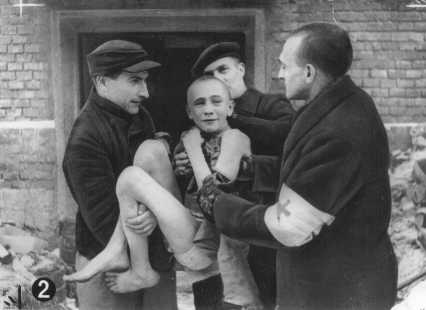 She was moved from Auschwitz to Bergen-Belsen where she was liberated after the camp was voluntarily turned over to the British. 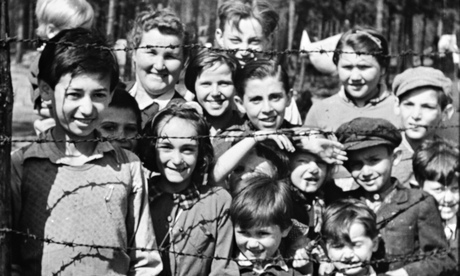 Allegedly, everyone under the age of 15 was gassed at Auschwitz, but not Susan Pollack. 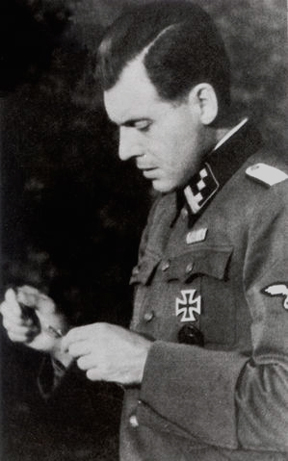 Dr. Josef Mengele, who was one of the 30 SS men who selected the prisoners to be gassed, allowed her to live because he knew that some day old men, who had nothing to do with the selection of prisoners to be gassed, would be put on trial as war criminals and witnesses would be needed to testify 70 years later. 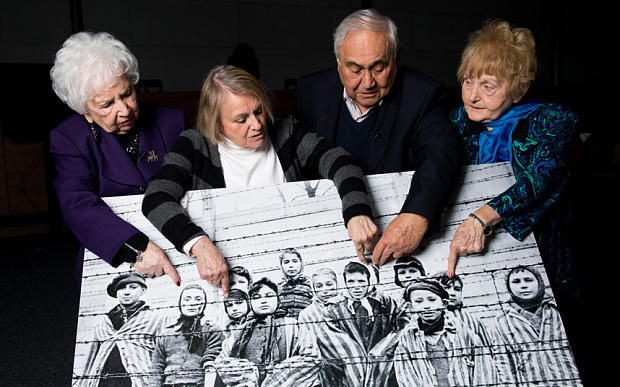 [Eva] Kor’s story goes back to August 1944 when, at the age of 10, she, her parents, her twin and two older sisters all were loaded with other Jewish prisoners onto a cattle car and transported to Auschwitz. She and Miriam were torn from the rest of their family — the sisters never saw their parents or siblings again. She managed to get in contact with Dr. Hans Munch, who knew Mengele but wasn’t part of the twins experiments. Munch did, however, operate the gas chambers where so many Jews died. Kor and Munch met in Germany. Out of that meeting came a seed that eventually grew into Kor’s forgiveness of Munch, and even of Mengele. Kor will share the details of how that happened in her talk. Note that Dr. Munch has the title of Dr. but Dr. Mengele does not, even though Dr. Mengele was a medical Doctor and also had a doctorate in Anthropology. Dr. Mengele is always referred to, by Holocaustians, as Mengele or as the Angel of Death, never by his titles. Even though Eva Kor was saved by Dr. Mengele from the gas chamber (which Dr. Munch “did, however, operate”) he can never be given the title of Doctor in a Holocaust related news article. It wouldn’t suds and it wouldn’t foam. 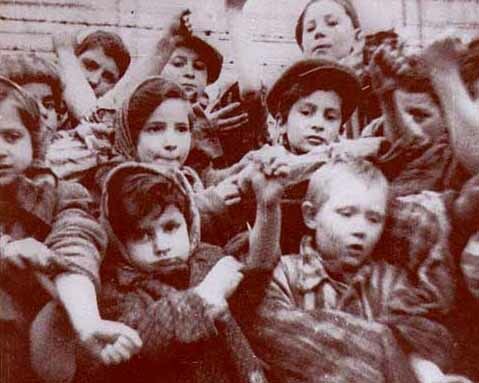 I was reminded of this song the other day, when I read that Eva Kor, a survivor of Auschwitz-Birkenau, said that she finally figured out why the soap at Auschwitz “wouldn’t suds.” It was because it was made from the fat of the Jews who had been murdered. Back in the old days, a lot of Americans made their own soap. First you save the ashes from your wood burning stove. Then you butcher a hog and save the fat. To make soap, you pour water over the ashes and allow it to seep through some holes and collect at the bottom of a barrel. The lye, which is needed to make the soap, is leached into the water. Then you boil a lot of hog fat in a large black kettle, under a tree in the front yard. That way, any neighbors passing by will stop to chat and the time will pass more quickly. After the lye water is added, the boiling can take up to 24 hours. Eventually the lye and hog fat mixture will turn into soap, which is light brown in color. The soap is broken into large chunks, not poured into a mold to make bars of soap. Did the Nazis actually make soap out of Jewish fat? Well, Eva Kor believes it and so do a lot of other people. But was it ever proved in court? Yes, at the Nuremberg IMT, the Soviet Union submitted evidence and testimony about human soap making. 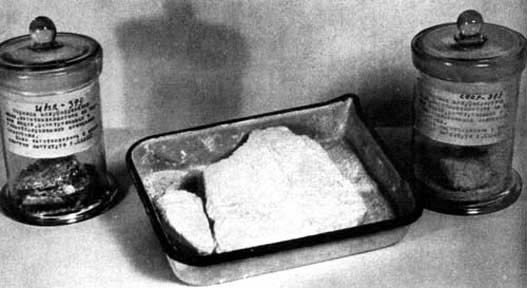 The making of human soap by the Germans was common knowledge that did not require any proof, so the Soviet Union was not required to furnish a forensic report along with the soap. 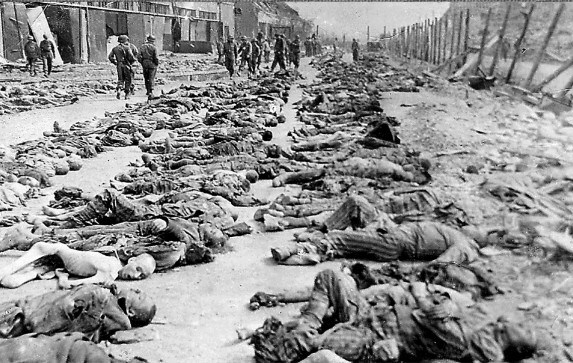 The Nuremberg tribunal “took judicial notice” that the Germans had made soap out of the Jews. 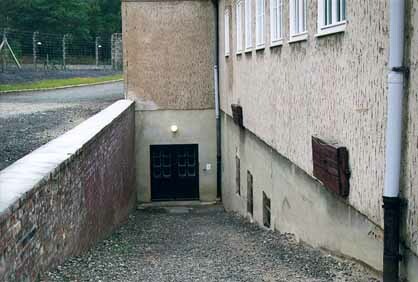 When I visited the Memorial Site at Buchenwald, I was told that the Germans made soap in the basement of this building. However, it was not claimed to be human soap.